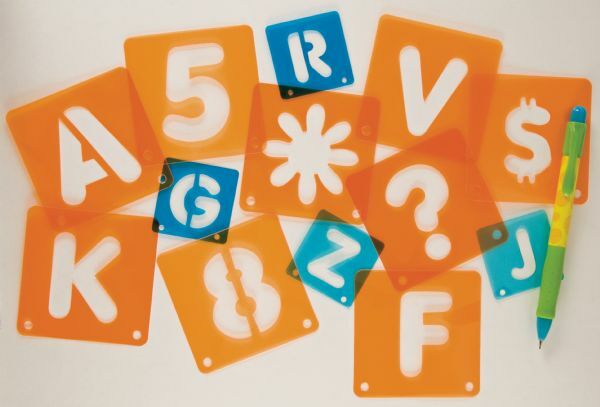 Contains letters numbers and shapes in both 2" and 1" sizes. 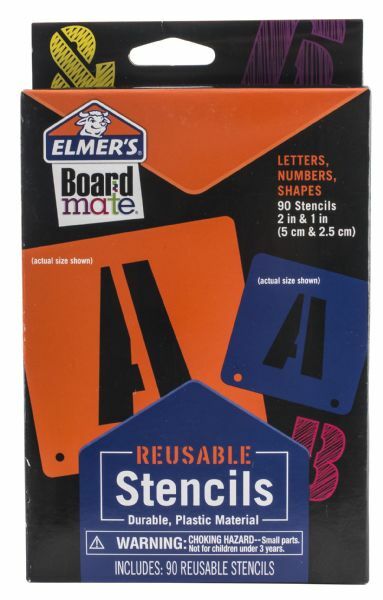 * Durable plastic reusable material. * Bonus mechanical pencil included. 7.5" x 4.5" x 0.81"